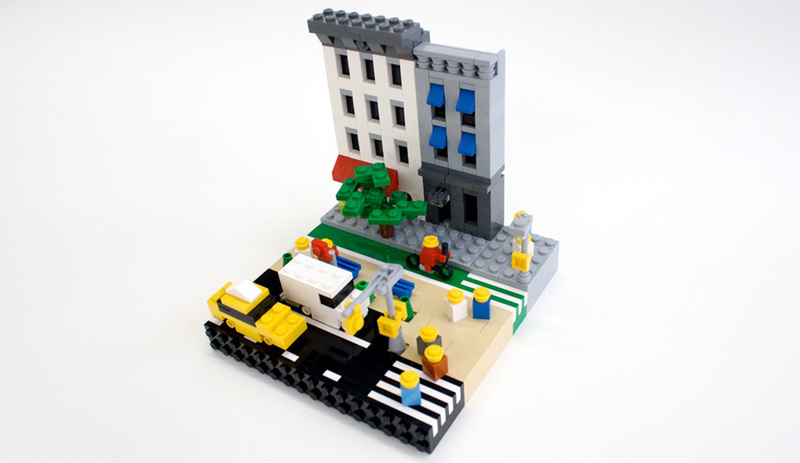 This little model was inspired by the changes that are being made to New York City's streets. Broadway, near Times Square, has been repainted so that people can spread out more and enjoy the city on bikes and sitting at little tables. 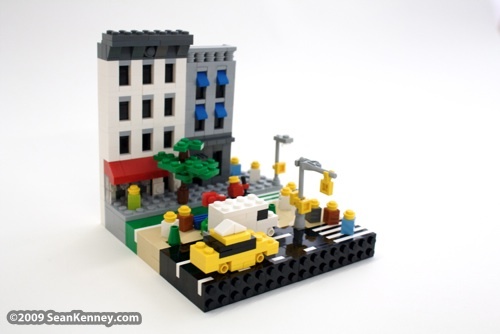 As little as 5 years ago I would have made this model with four lanes of traffic and lots of cars and buses and trucks and taxis. But now, half of Broadway is for people to bike and walk and sit and enjoy the city. It's a start, and it's great.